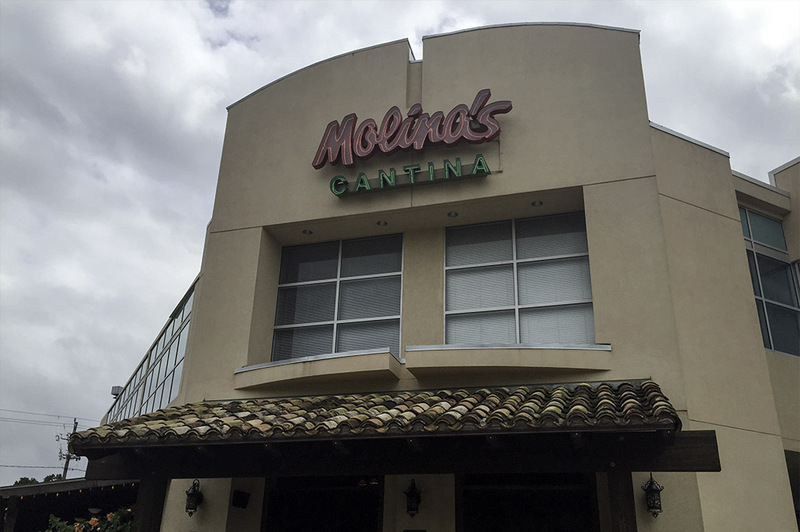 Molina’s Cantina has been a Houston tradition since 1941. There are 3 locations to choose from: just west of The Galleria on Westheimer, one on Washington and the one I visited on Bellaire just east of the 610 loop. 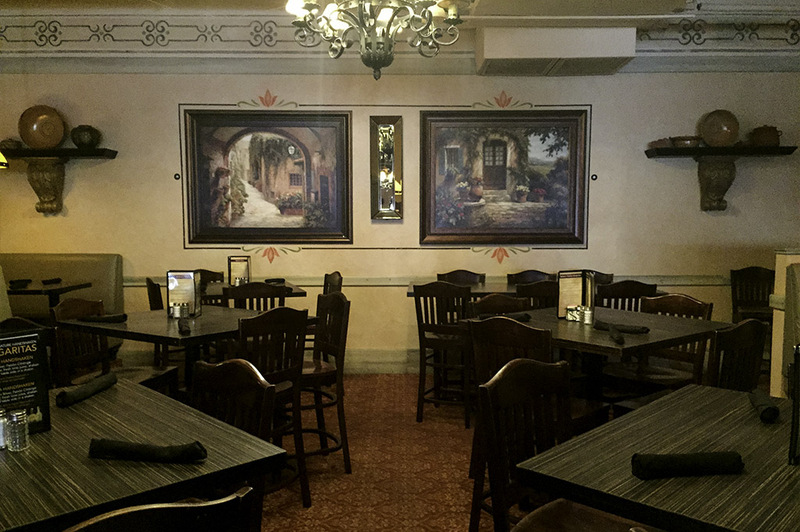 Molina’s Cantina is the oldest continually operating Tex-Mex restaurant in the city. 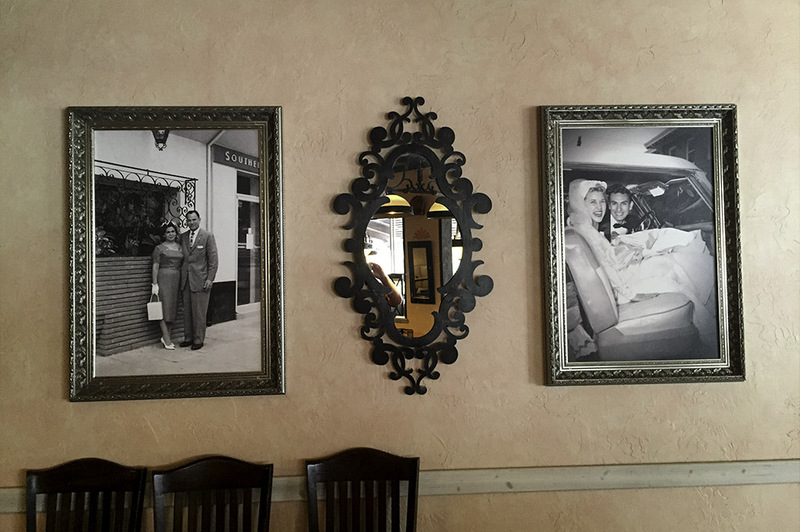 Raul Molina Sr. and his wife Mary built this fine eatery back in the day and the family has continued operating it with great success for over three generations. The Molina family understands the importance of close family relations and the culture here reflects these values. 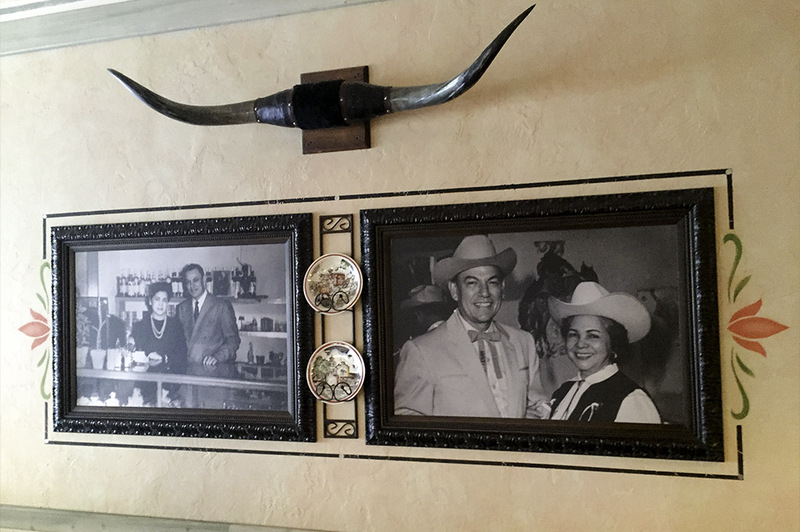 Some members of Molina’s loyal staff have over 20 years invested in this iconic Tex-Mex restaurant. One of their chefs had been working here for over 50 years. 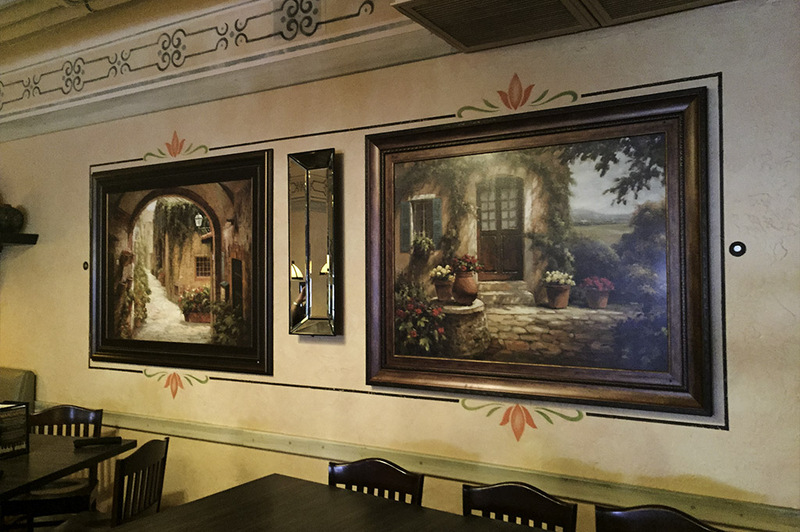 Our server, Art, told us he had been working at Molina’s for over 20 years! A pretty impressive track record and it shows that these people are doing it right here in Houston. There are some very notable fans of Molina’s around the Houston area, but none more so than former President George H.W. Bush. 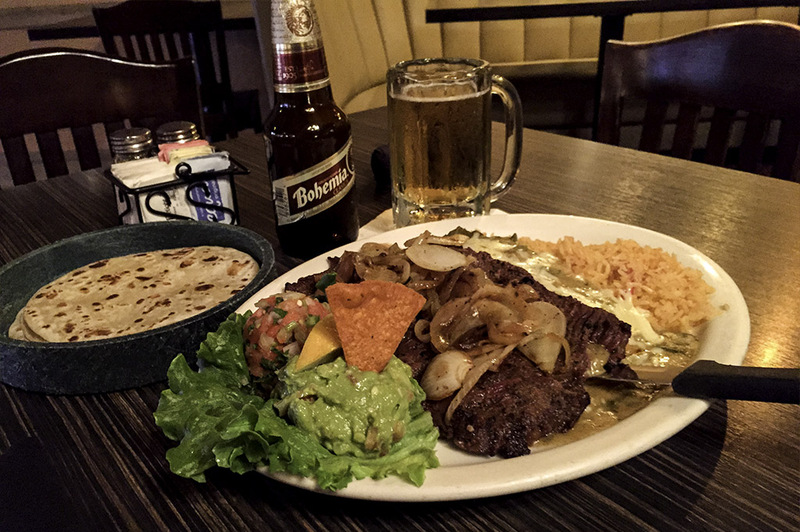 He has been known to enjoy their fajitas, their enchiladas and a cold beer from time to time – just like every other proud Houstonian! Some friends of mine, Dan Foster and his son Chris, introduced me to Molina’s on Westhiemer location. So, when I decided to stop by their new location on Bellaire in Southside Place, I figured there was nobody better to get behind the wheel with than Chris. So, I called shotgun and we headed out on a culinary adventure I will not soon forget! We also invited a new friend along for the ride. Between the two of them, I would receive a degree in Molina’s history! 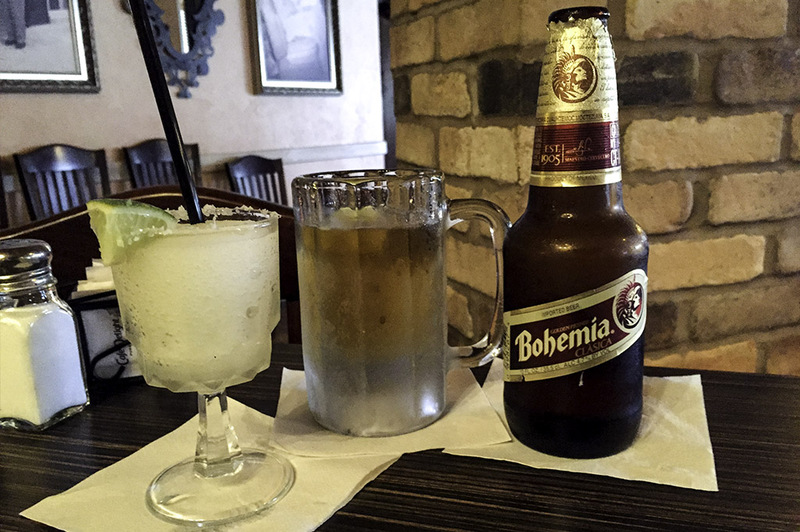 We started off with some wonderful Bohemia’s and Molina’s legendary margaritas – a potent beverage known for its proper blend of fresh lime juice, Triple Sec and 100% agave tequila. 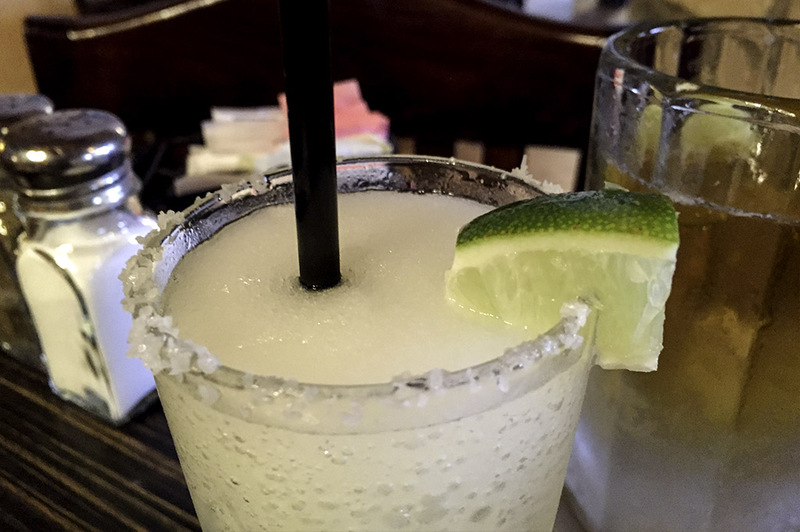 Both were excellent choices, but watch out as the margaritas here are not for the faint of heart and they can really sneak up on ya. 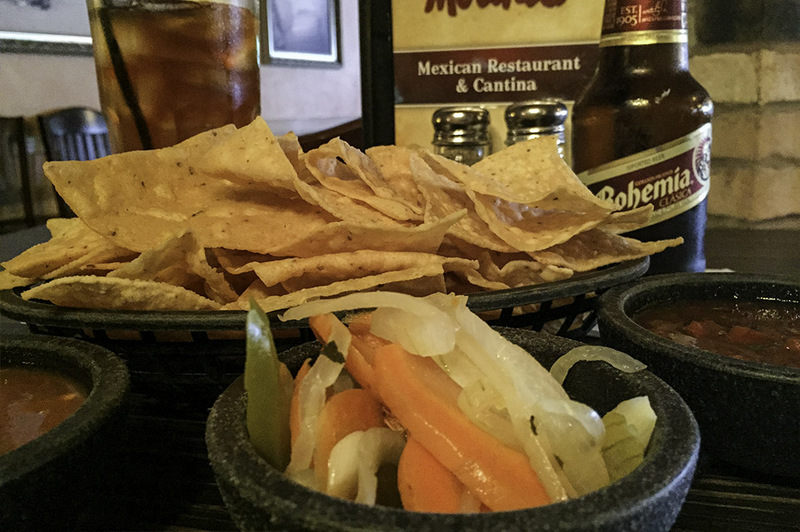 As the adult beverages arrived, so did the warm crisp chips, salsas, spicy escabeche carrots and Molina’s famous “Jose’s Dip”. 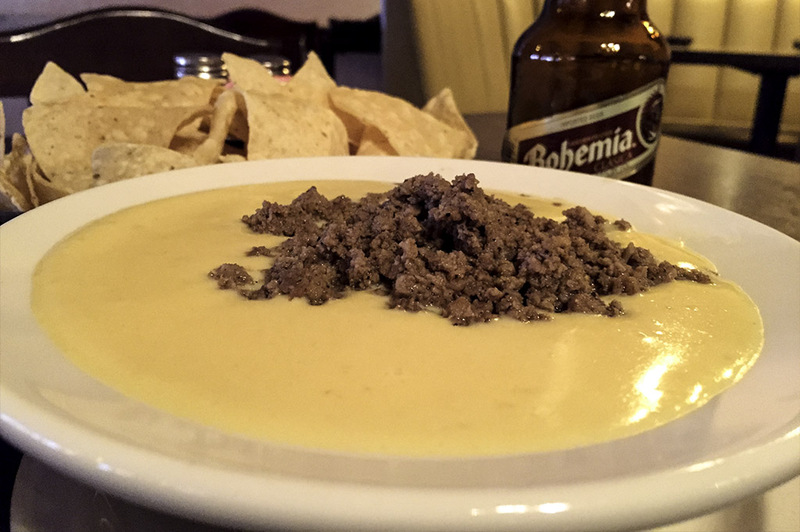 This wonderful chile con queso and spicy taco meat combination was named after a server by the same name. Jose would always add taco meat to the queso for his faithful customers. Management found out about this while Jose was on vacation and patrons began inquiring about the beloved taco meat Jose had been secretly providing for them. So, Jose’s Dip was added to the menu in the name of its inventor. You definitely want to order this creamy, cheesy, meaty delight as a starter for the table. After discussing some menu options with Chris, who already knew the menu by heart, we decided to order the Nancy Ames’ Special Nachos. 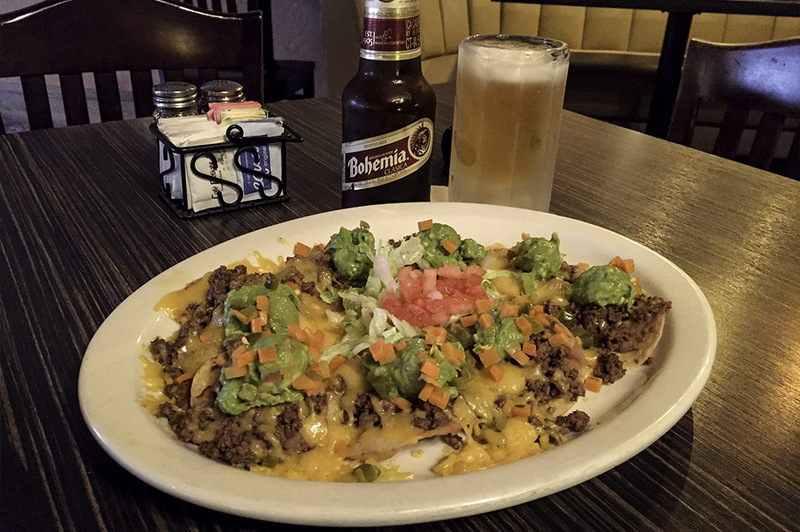 Many publications over the years have claimed that these nachos are the best in Houston. I have to agree. Every chip is built to form its own full nacho, just the way my mother used to make. Each chip is first spread with refried beans, then piled high with spicy ground taco meat, and finally covered with melted shredded cheese, homemade guacamole, diced spicy carrots and jalapenos. Nancy, you are a sweetheart for inspiring such a work of art. Check out the photography… pictures don’t lie. 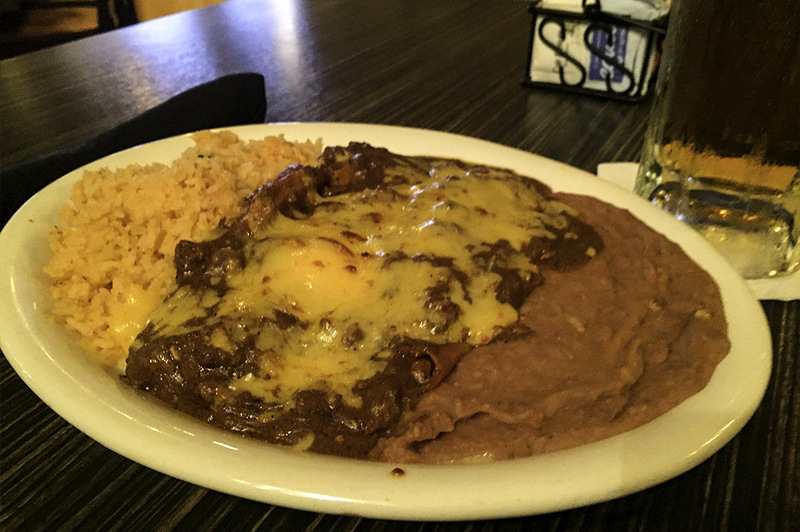 We decided to split three of the most popular entrees: the William’s Special, Enchilada de Tejas and the Cancun Shrimp Platter – a pretty good range of menu items to get a taste of the full Molina’s experience! First up was the Enchilada de Tejas: a delicious cheese enchilada, topped with chili con carne, melted cheese and chopped onions. The chopped onions really sent this dish through the roof. It’s funny how the simplest of ingredients can make such a big impact. Cheese enchiladas are one of my absolute favorites and the chile con carne was amazing. 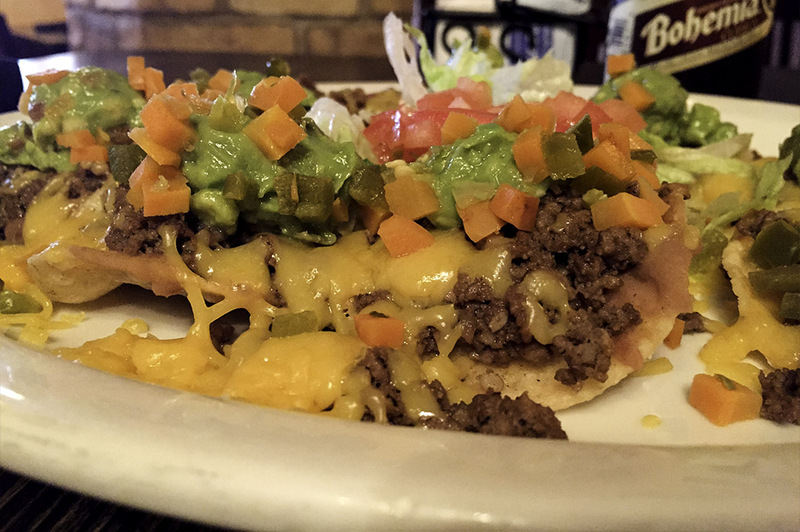 Molina’s Cantina has used the same recipe since they began… why change a good thing? 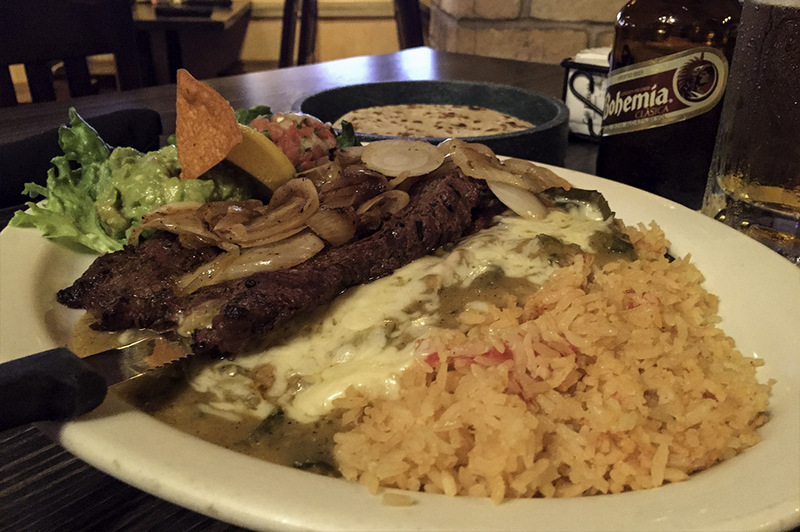 Next in line was the William’s Special: savory carne asada with grilled onions served over two cheese enchiladas, topped with William’s sauce and Chihuahua cheese and served with sides of guacamole and rice. 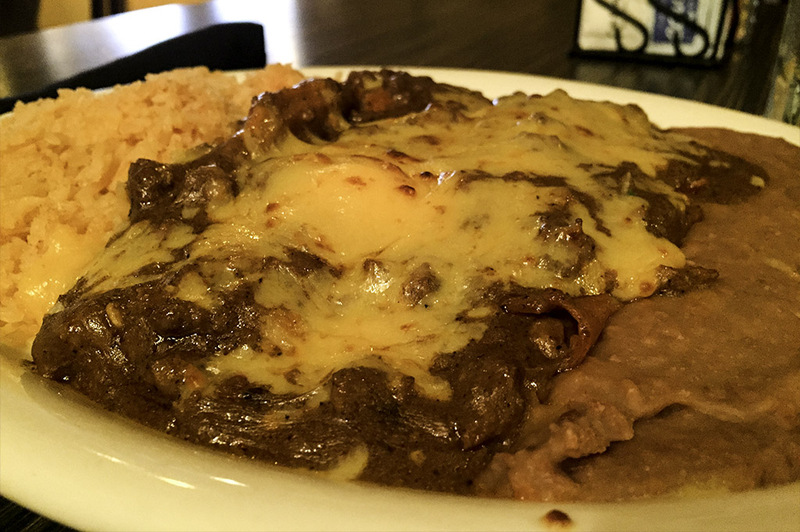 It’s the best of both worlds: you get the unforgettable cheese enchiladas but only after you make your way through the perfectly marinated carne asada. Need I say more? 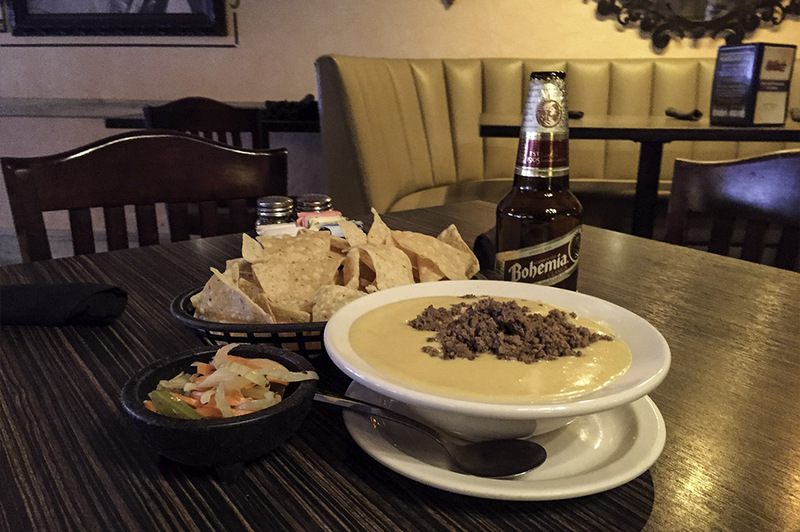 I would have to say this is my go-to here at Molina’s! 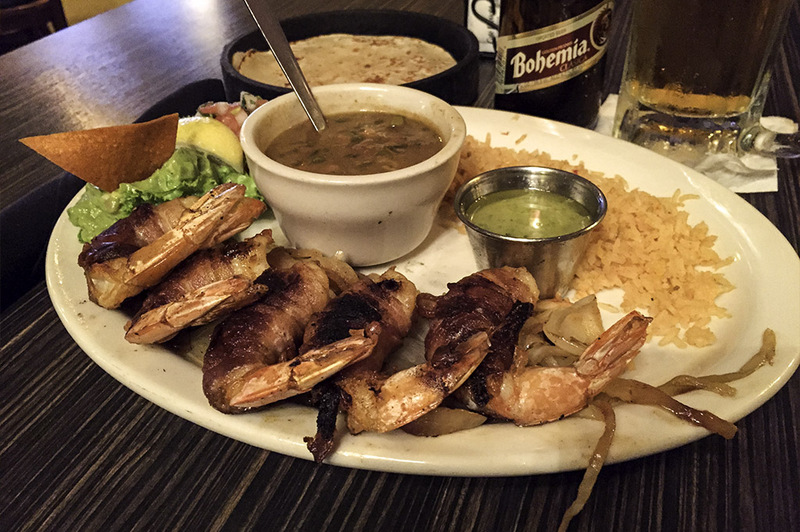 And last, but certainly not least, came the Cancun Shrimp Platter: fabulous jumbo shrimp stuffed with fresh jalapenos and Chihuahua cheese, wrapped with sliced bacon and grilled to perfection, and served with rice, charro beans, pico and guacamole. 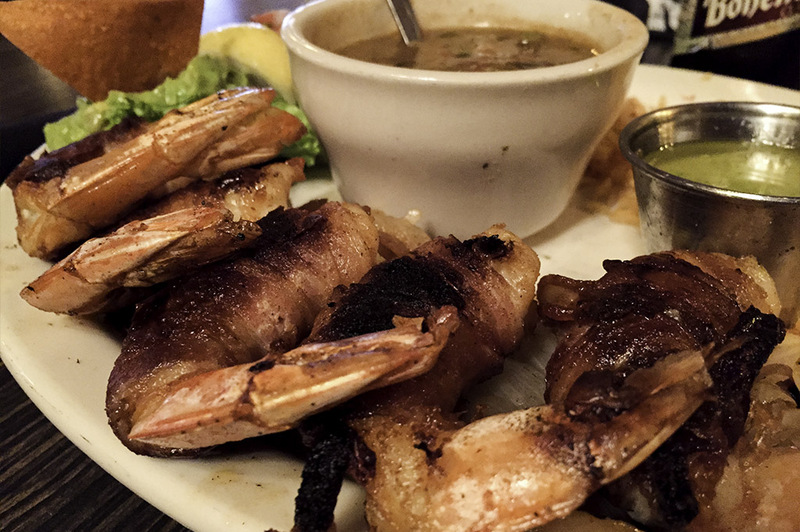 This dish is always a no-brainer here on the Gulf Coast where you find the largest, freshest shrimp in the country. I’m definitely a fan and give it my highest recommendation. It makes a great appetizer as well. As always, in my book no meal is complete without dessert. 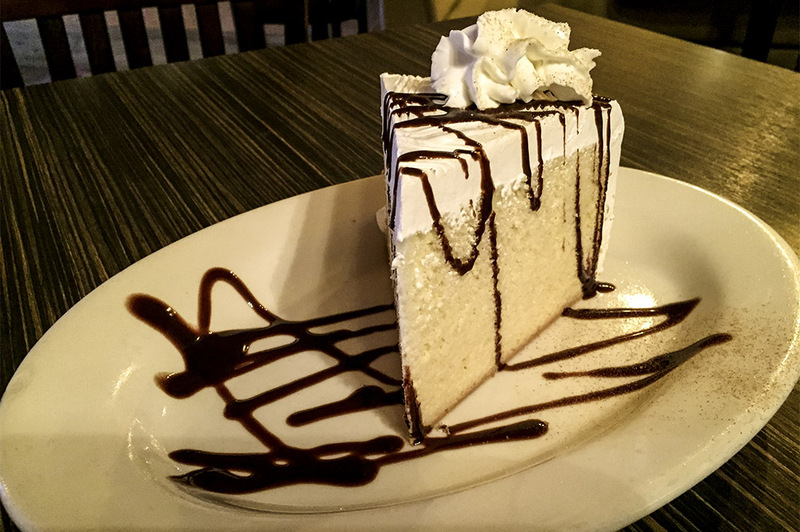 And at a Mexican restaurant, my all-time favorite is the Tres Leches Cake (Spanish for “three milks cake”). 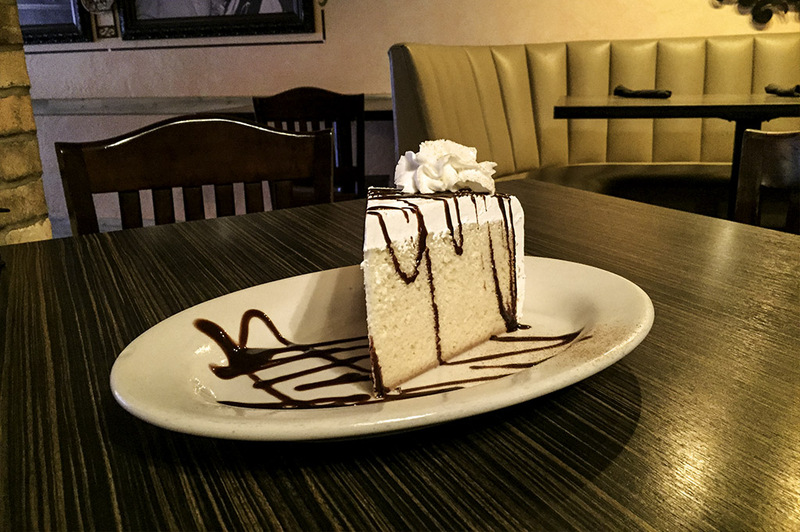 This classic Mexican treat is a sponge cake soaked in a mixture of different types of milks. I have to say that the Tres Leches Cake at Molina’s ranks up there with the best. Take a look at this monster in the photography above. Save room, save lots of room as it was enough for all three of us to share. What a great experience we had here at Molina’s Cantina! And when I say experience, it is just that. 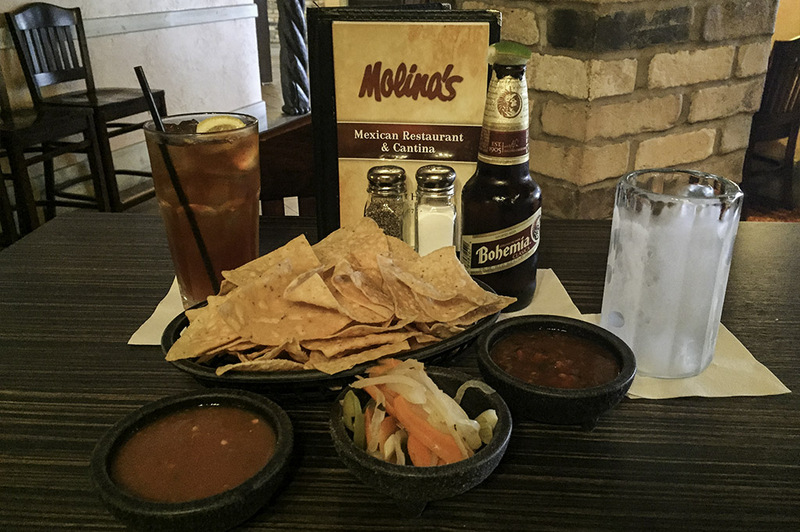 You can enjoy a good meal at many places in the city, but at Molina’s you get much more. I had a great experience here with a new friend, an old friend and made even more friends with the very hospitable staff. 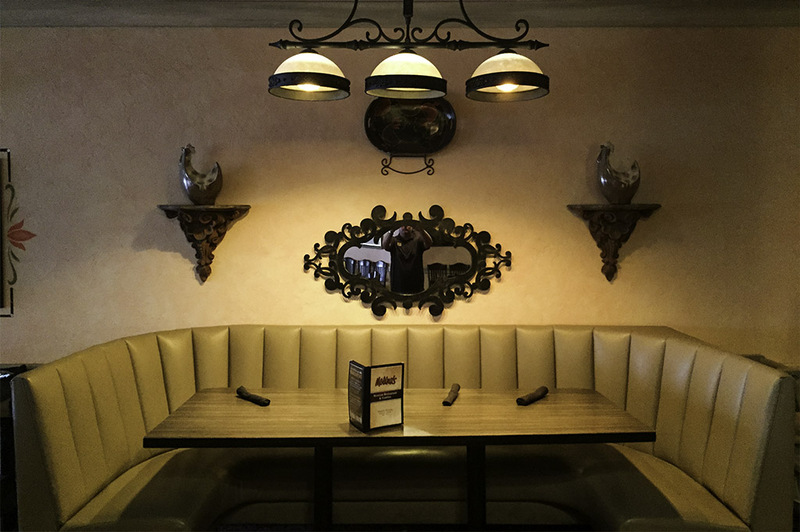 If you are new in town or just visiting and want a true Tex-Mex experience, Molina’s Cantina is a spot you do not want to miss!